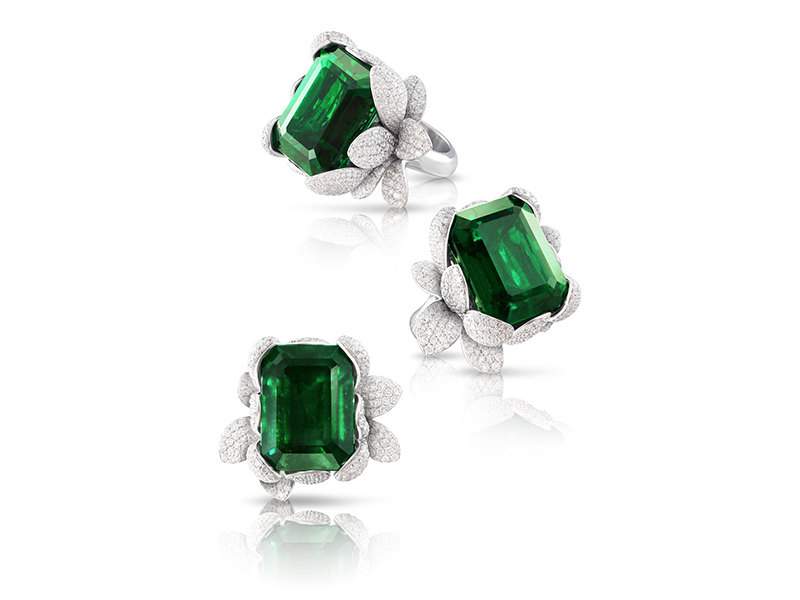 Emerald is in the house ! 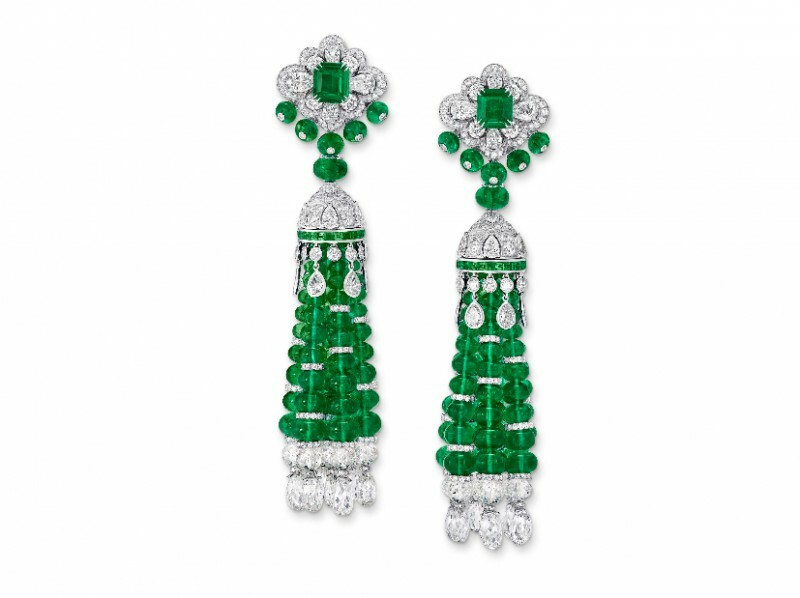 Couture Week in Paris was the annual occasion for most high jewelry brands to present their latest collection. 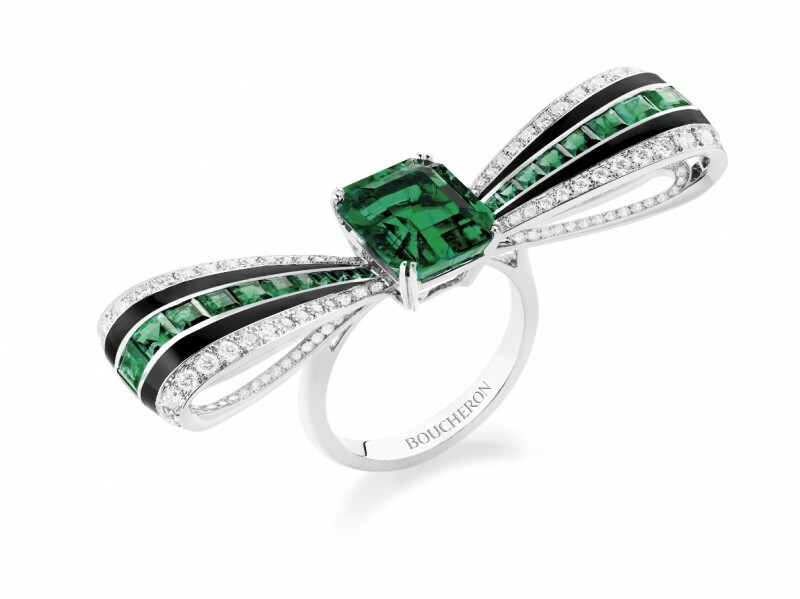 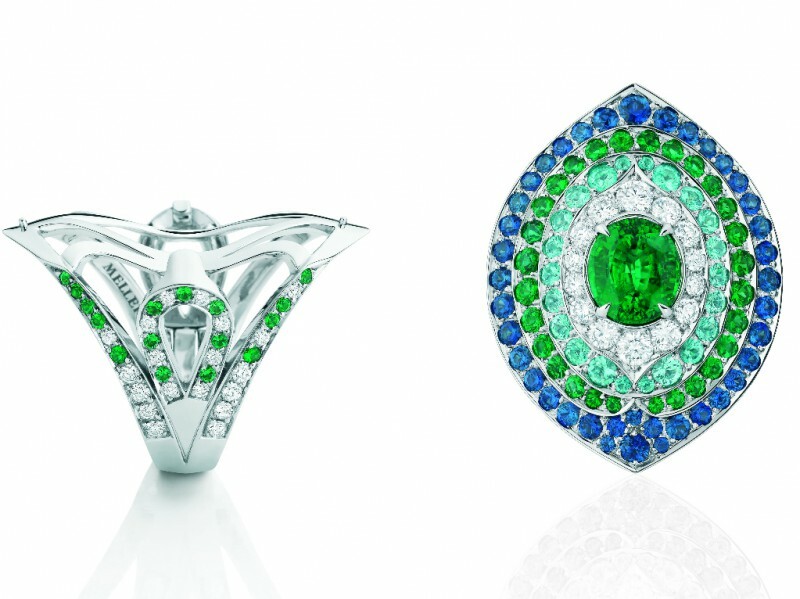 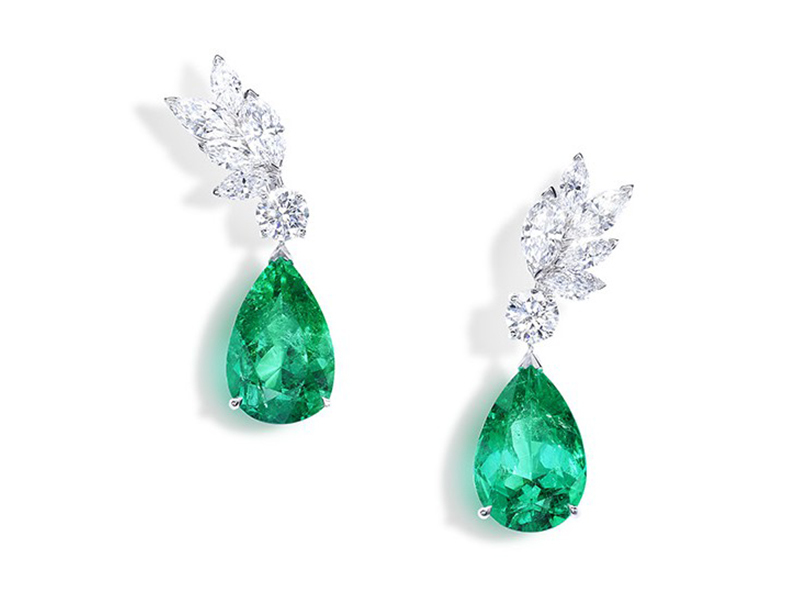 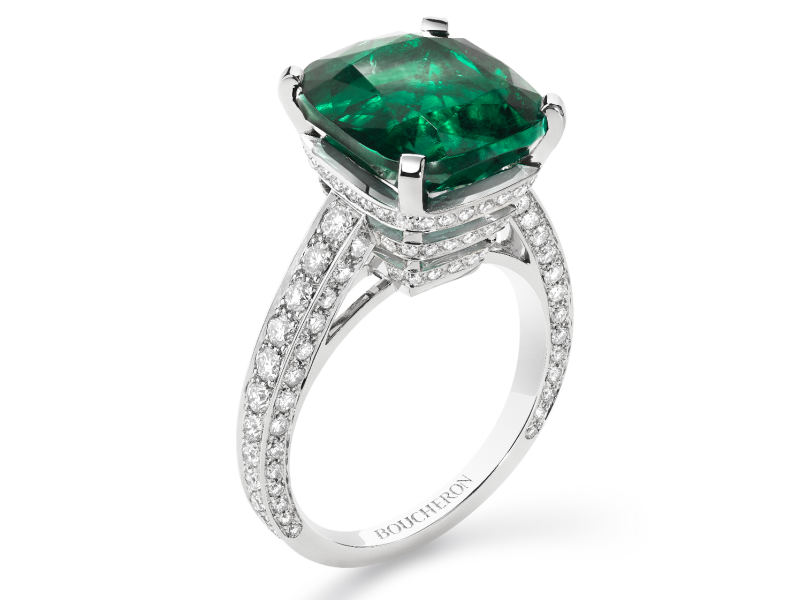 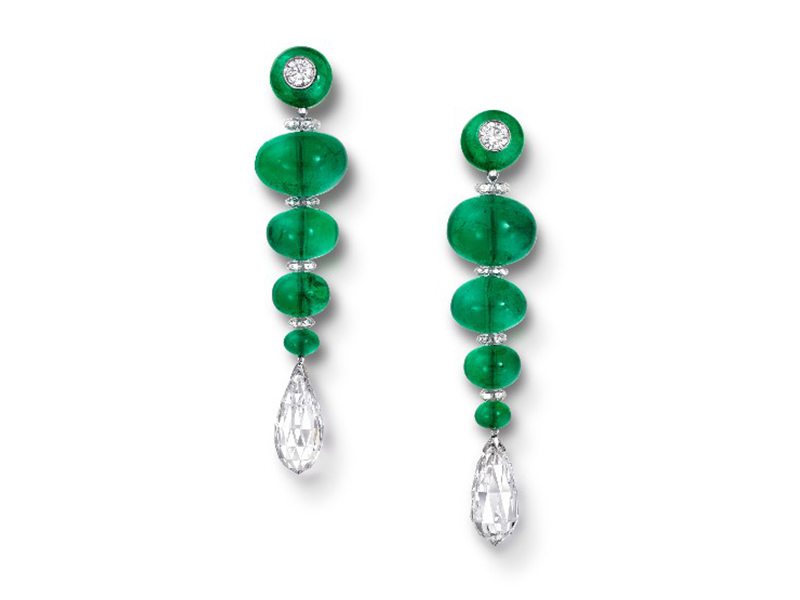 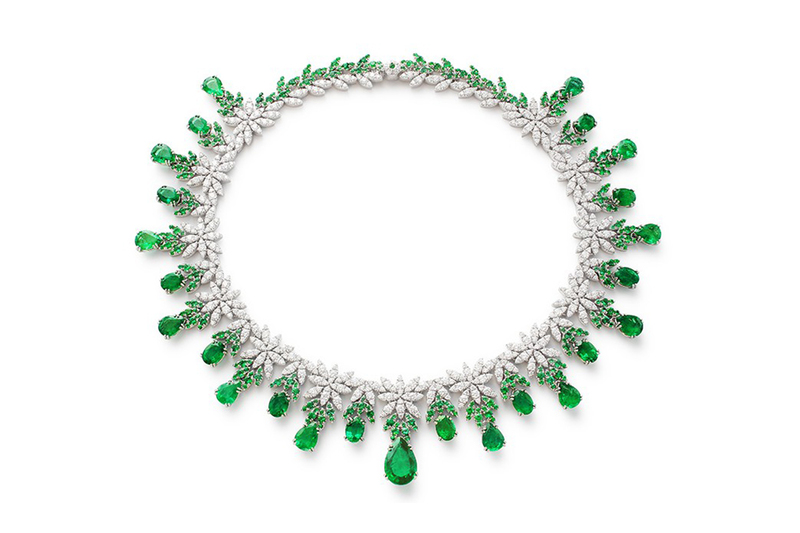 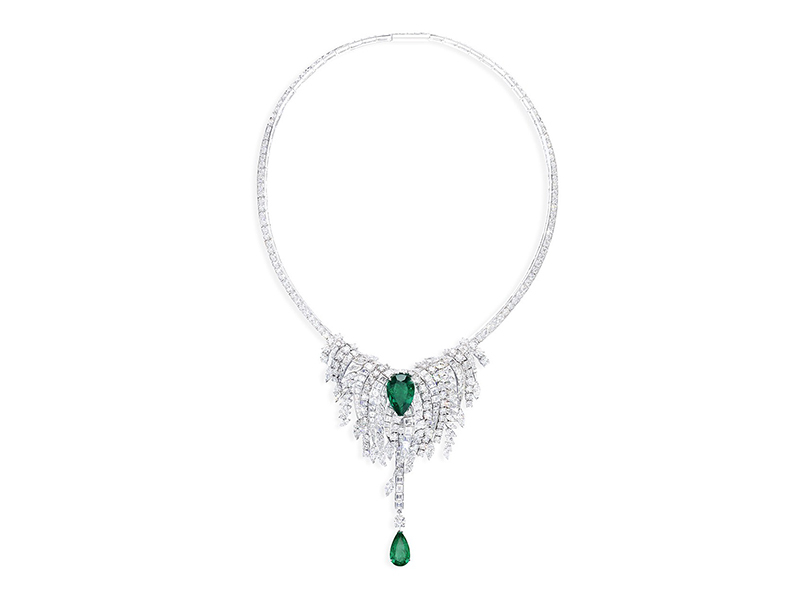 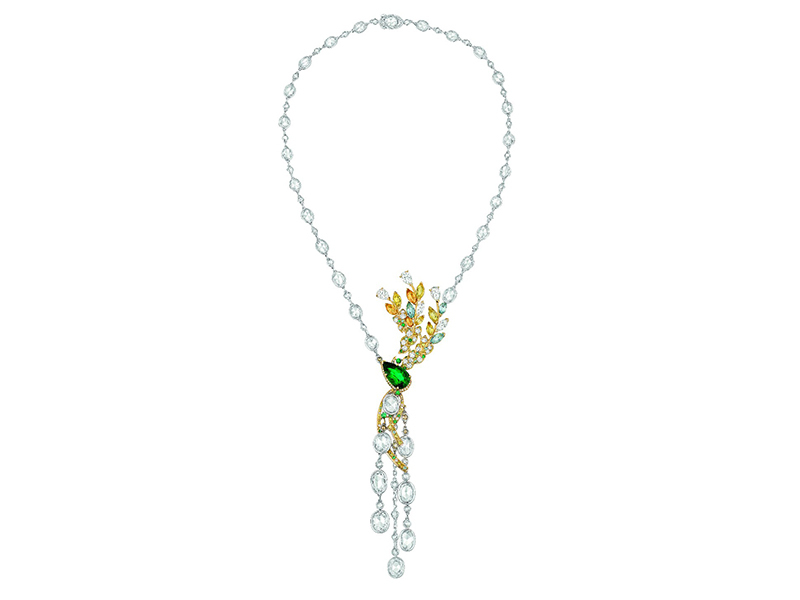 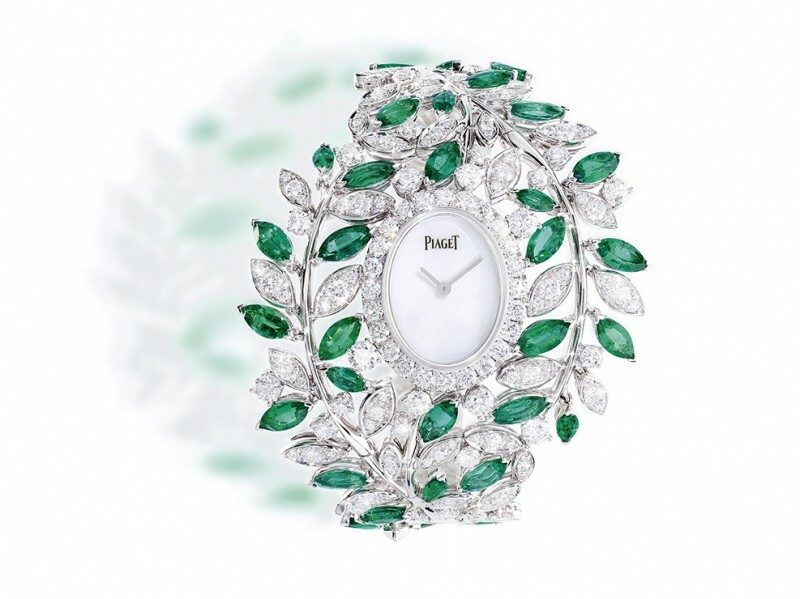 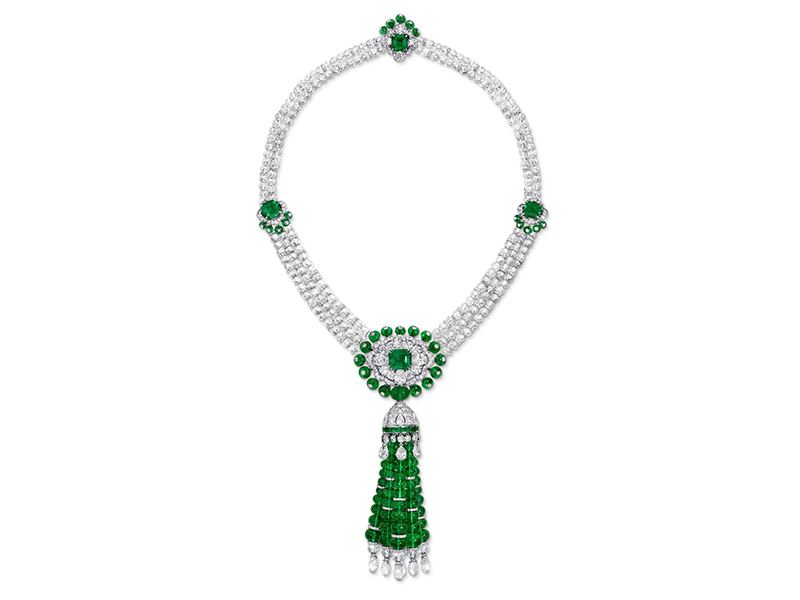 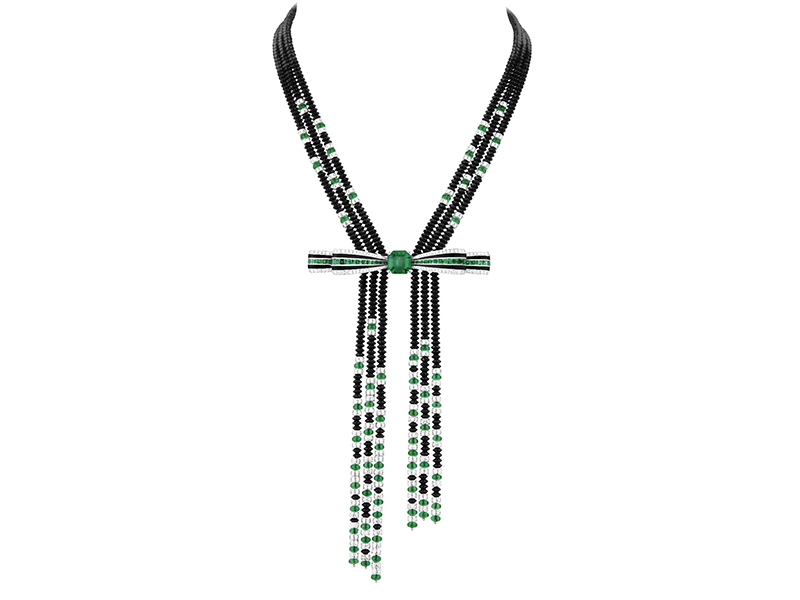 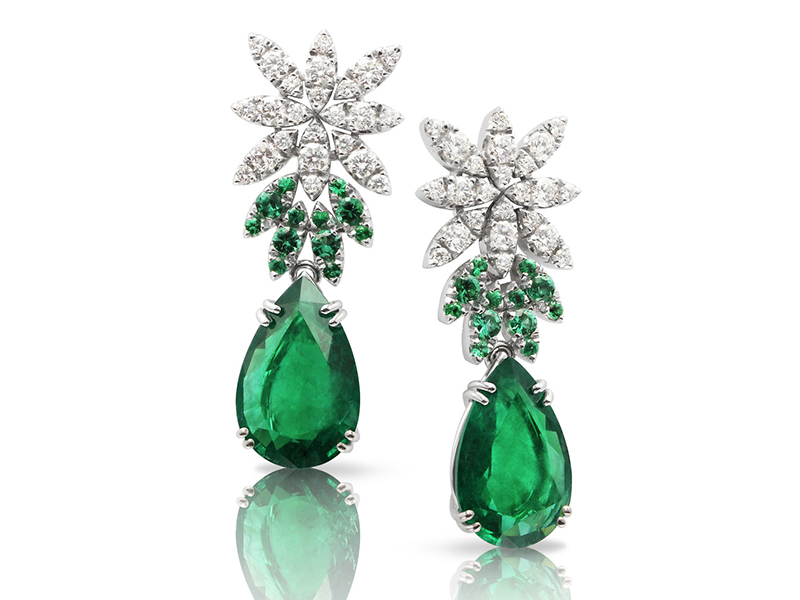 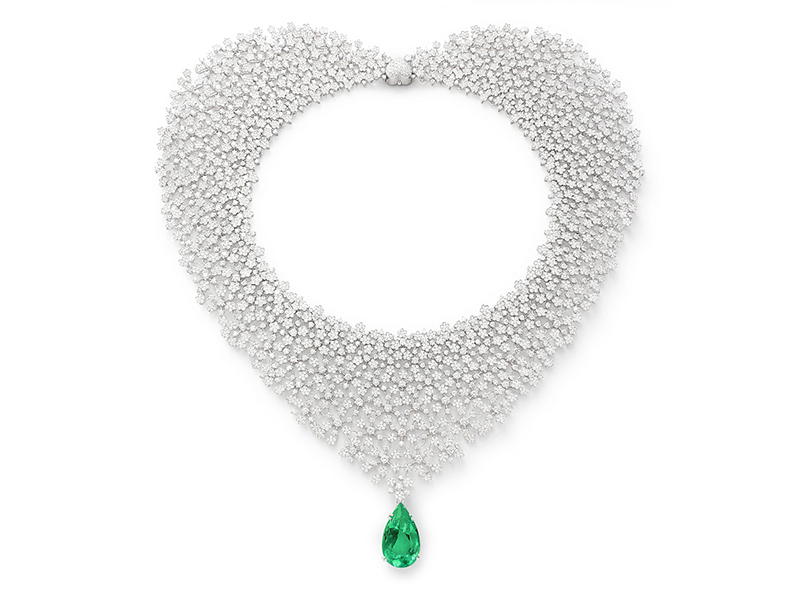 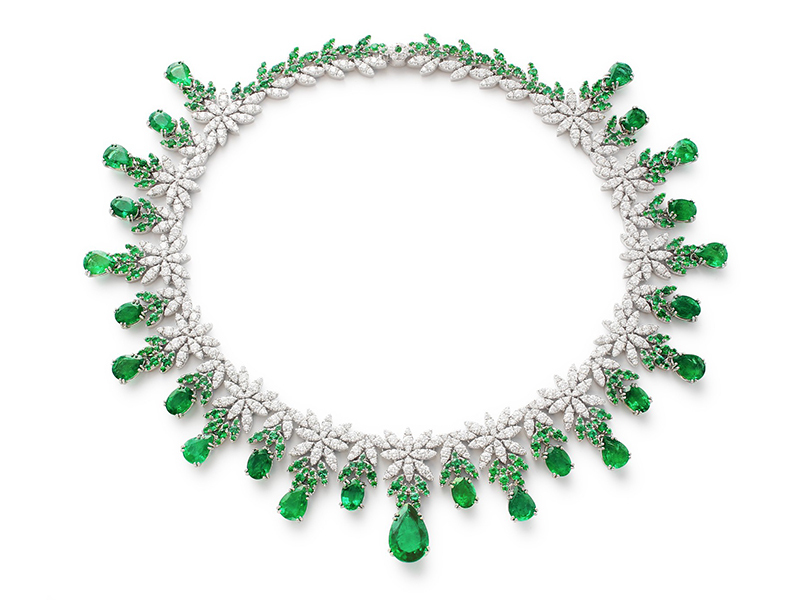 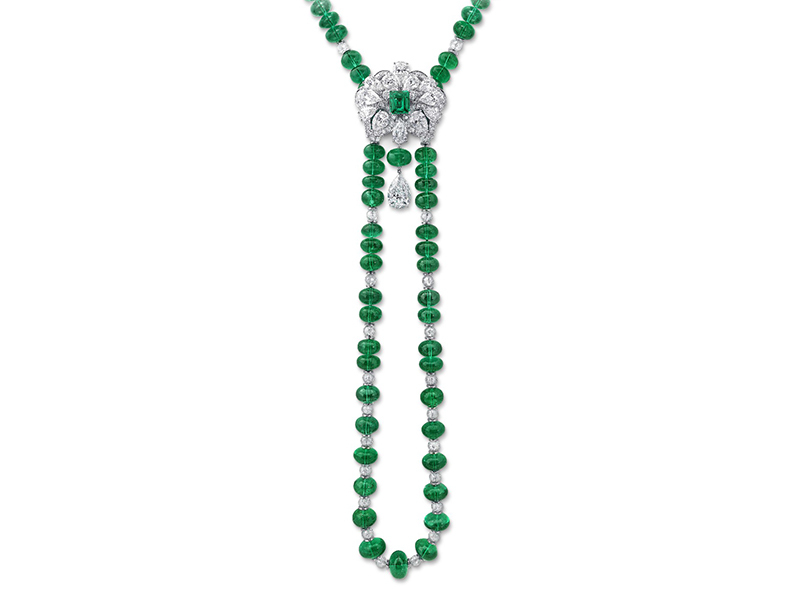 The Eye of Jewelry spotted a trend : the emerald. 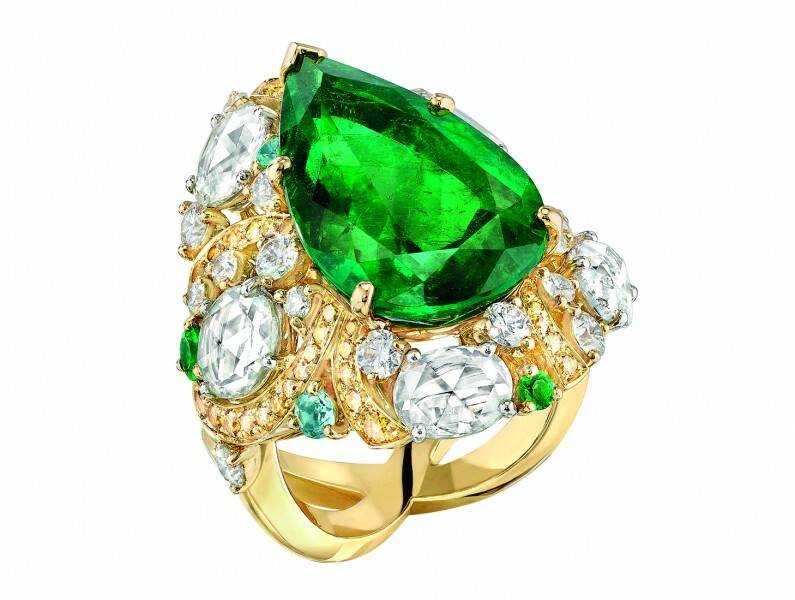 Creatively set, wonderfully cut with an astounding array of green shades, the emerald is the it-stone of the summer 2016. 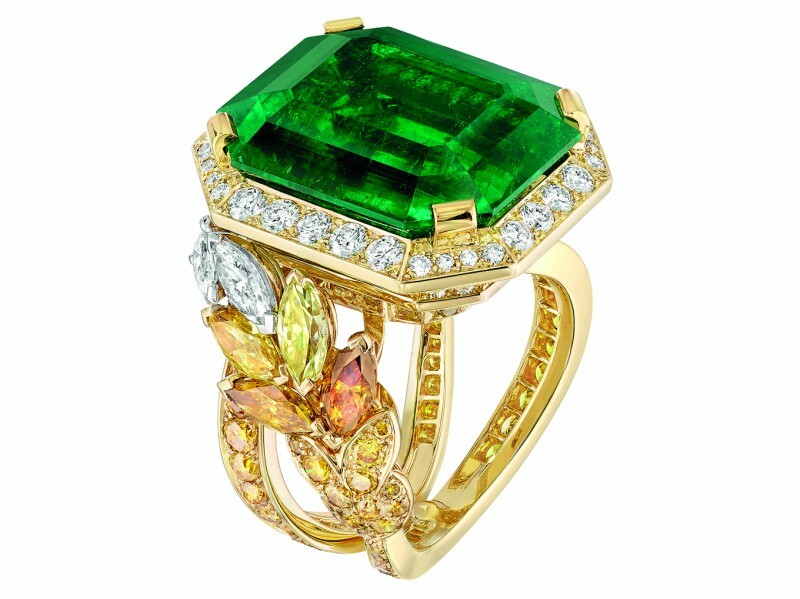 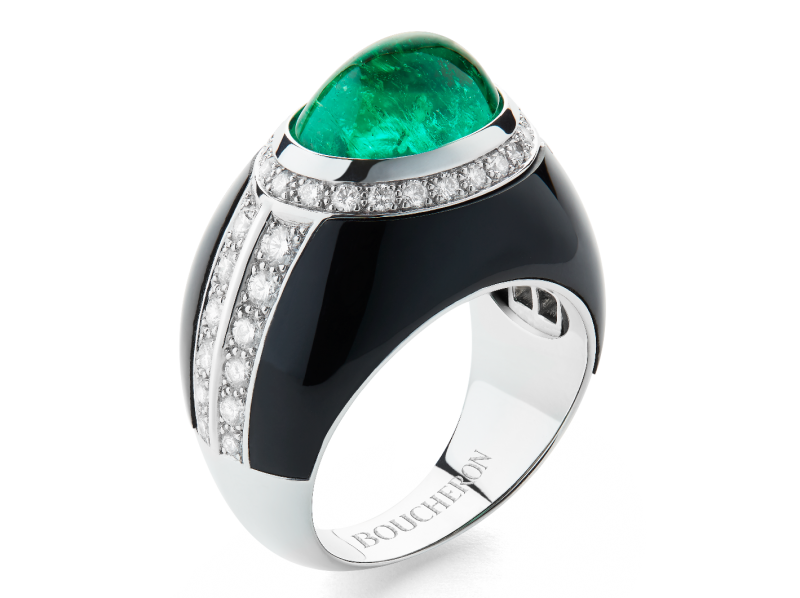 Mellerio – Goa ring mounted on grey gold with emerald, paraïba tourmaline, sapphires and 110 diamonds. 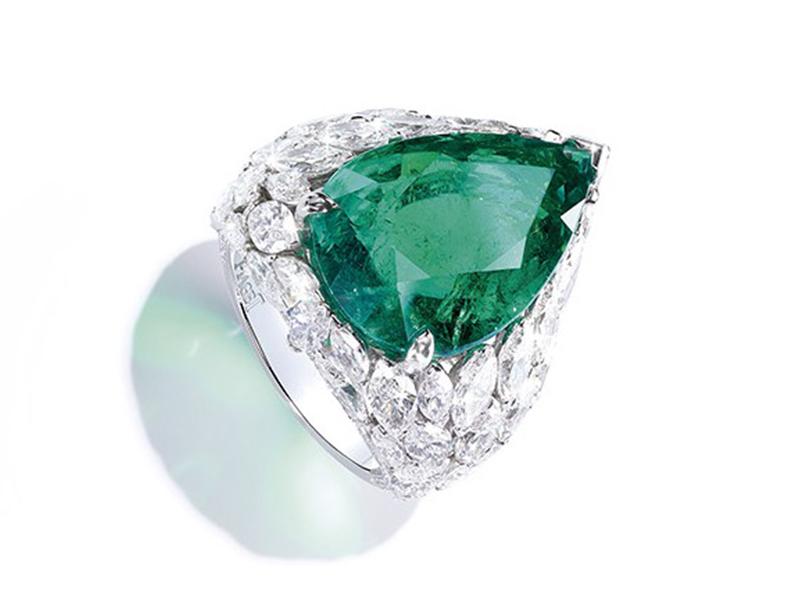 The ring can be transformed as a pendant.